Well, we did it. It only took 47 episodes and well over 100 hours of Widespread Panic to FINALLY play something recorded after July 2, 2002. 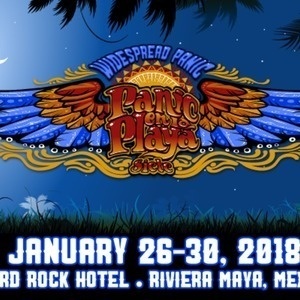 To usher in this new era for The Bluest Tape, we invite Mr. Curtis George, the creator and overseer of Panicstream.com, the essential online streaming source not just for live Widespread Panic, but dozens of other bands, too. Curtis lets us in on how his site got started, how it keeps it going, what he thinks about the current state of the band, and how good of a time he had down at Panic en la Playa. Hey, it’s good to have someone on the show that still actually goes to shows, right? Great picks, Curtis - come back anytime! Oh, and from the Department of Lead Burying, we are pleased to announce that we are now part of the Osiris Podcast Network, and brand new venture that brings together the finest Phish, Grateful Dead, and lifestyle podcasts together in one place. Check them out - www.osirispod.com.